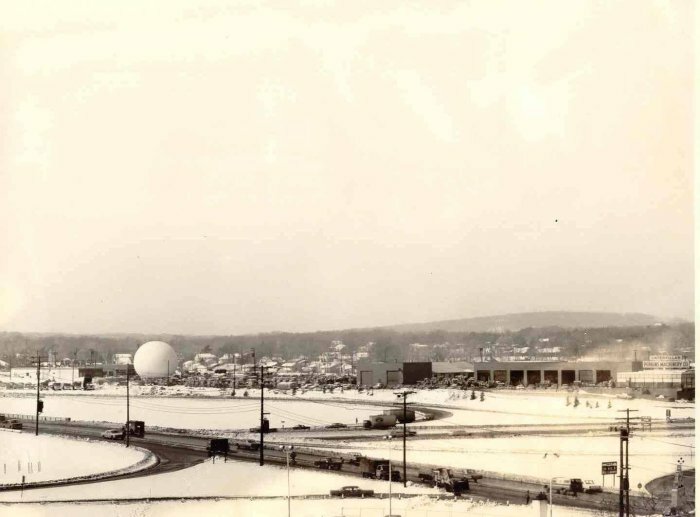 The Needham radio telescope near the Highland Ave. ramp off Route 128 west of Boston, 1956-1965. The telescope was the first large (28 foot) equatorially mounted millimeter wave telescope. Credit: Photo courtesy of Doc Ewen.